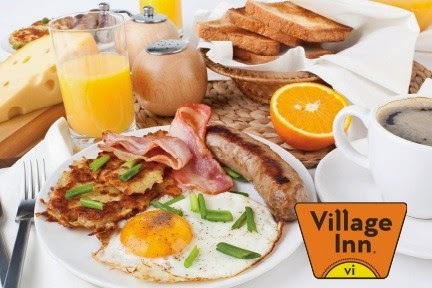 Went to Village Inn this morning for breakfast. If you haven't gone to VI lately, you might not recognize it. The tacky orange is gone, there's a clean modern look to the interiors and the booths have been replaced by "pods" without the separators. We sat in one of the pods and noticed it was more comfortable but we clearly heard every conversation within 20 yards. Funny, the servers seemed to take orders much louder than usual. Clearly, I miss the booths. Debbie offered to pay the check ... she had cash! Rare as this was, I quickly accepted. She went up to the register and seemed to take forever. I followed her up there thinking maybe she didn't have enough cash after all. I was wrong. The girl at the register was having a terrible time for some reason. Finally she called another server over to help. "I can't make change." She said. "Help me will you?" The other server reached in the cash drawer and counted out the $3.34 change owed to Debbie on the check. Apparently, the register display wasn't working and she had to help the other server figure out change by using simple subtraction. 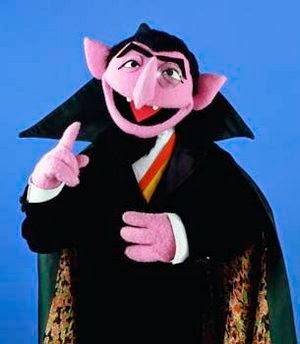 Where is Sesame Street when we need it?